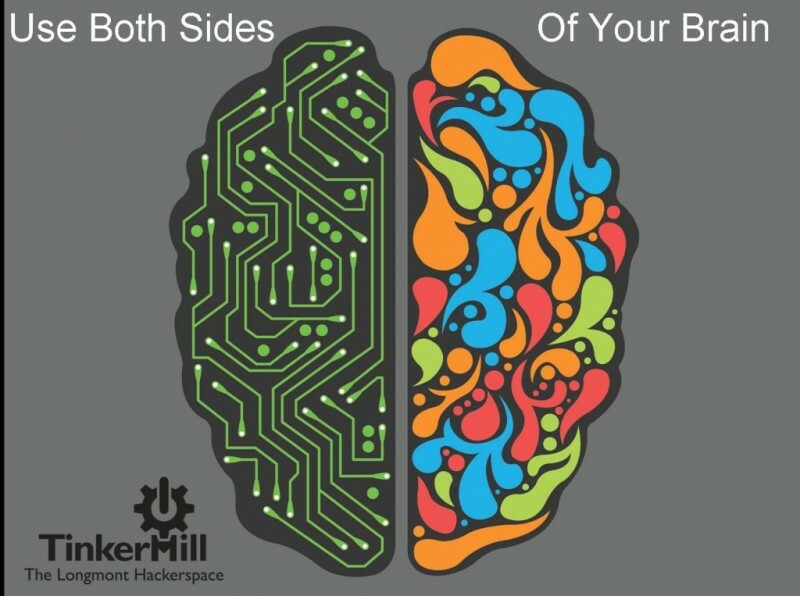 In Newcastle upon Tyne, located in North-East England, lies Newcastle Makerspace. This is an eclectic group of makers, creatives, programmers, scientists, and engineers. They’ve set up a space to meet, work, socialize, share ideas and collaborate. Gregory Fenton is a member and wants to tell us a little bit more about what they’re working on. Members Lots and growing fast. CW: Tell us about your meeting space. We have 2 large rooms, one for relaxing, holding meetings and talks etc., and one for working on projects. We also have a fully networked computer room with spare monitors and keyboards for people who bring in their Raspberry Pi. Another room is dedicated to our lathe and laser cutter. There’s a kitchen area so people can prepare meals and make drinks and a well-organized storage rack. CW: What sort of tools do you have at Makerspace Newcastle? CW: What’s on your wish list? A laser CNC and newer tables and chairs would be nice additions. CW: What sort of embedded tech does your group work with? We use lots of embedded technology such as Arduinos, BeagleBoards, Raspberry Pis, PICs, etc… for various projects. CW: What are some projects that your group has been working on? We have so much going on, projects that come to fruition and projects just being imagined that I could go on for ever! One of our members is building a large quadcopter from scratch with a 3D camera mounted underneath it. 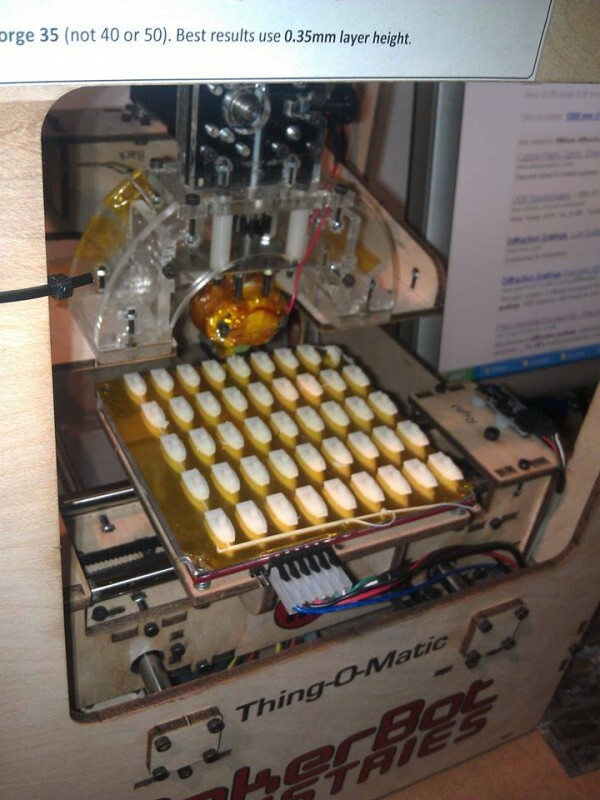 Another is working on a candy machine that feeds the Makers whenever someone tweets to it (give it a try by sending a tweet containing the word candy to @maker_space). 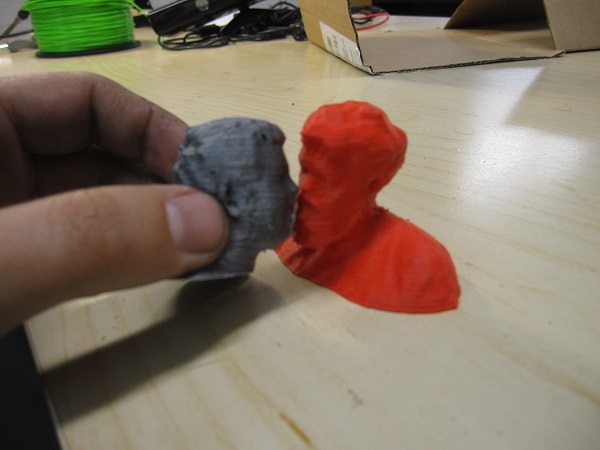 Several of our members are building 3D printers of various styles and sizes. One of our members designs costumes for shows, circuses and events. A different member is taking his children’s old baby clothes and making a quilted “memory blanket,” as well as creating wooden toys to give to them now they are a little older. Some of our junior members are learning about programming, interfacing to electronics and relays, and making toys by hand from balsa wood. One of our members is creating a power extension that is controlled remotely using Arduinos, servo motors and a GSM shield to switch on and off individual plugs via text message (SMS). A project that’s being done as a group is a Raspberry Pi media server that plays music and controls other devices such as an amplifier, lights and LED strips. I don’t think this project will ever truly be finished as every completed task leads to “wouldn’t it be cool if we did …”. Easy. We decided we wanted a laser cutter, went on a members pledge drive and had the money to buy it outright within a week! It is in China at the moment but soon we’ll be cutting out plexiglass and wood like there is no tomorrow! Do you have any events or initiatives you’d like to tell us about? Where can we learn more about it? We regularly hold events both in the space itself and in other places in the surrounding area. Check our blog and mailing list from our website for upcoming and past events. Always follow rule zero: Do not be on fire. Don’t have a space local to you? find a few like minded individuals and set up your own! You can start small (a garage or shed) and expand as time passes and membership increases. If a project interests you, tell the world. Circuit Cellar, Blog, Facebook, Twitter… Spread the word. 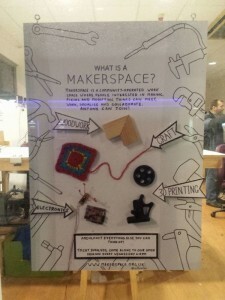 Want to know more about what Makerspace Newcastle does? Check out their Facebook and Twitter page! Makelab Charleston is a hackerspace for hobbyist and professionals who share common interests in technology, computers, science, or digital/electronics art. It provides an environment for people to create anything they can imagine: from electronics, 3D printing, and construction, to networking, and programming. Treasurer David Vandermolen will tell us something more about Makelab Charleston. We started in a 500 sq. ft. garage, but took a step up and are currently renting a 900+ sq. ft. home that’s been renovated. We now have the space for a electronic/soldering room that also has our 3-D printer. One other room is dedicated to power-type tools and our CNC machine that is still being built by our members. 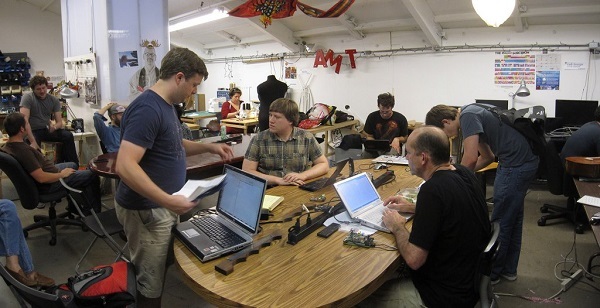 The other spaces in the house are used for classes and member activities such as LAN parties. Soldering stations, oscilloscopes, 3-D printer, power tools, large table-top CNC machine (in progress), and a rack server for the IT minded to play with. A laser CNC, nice tables, and chairs . We have members that dabble in multiple areas so we try to provide classes on the technology people want to learn about and explore. 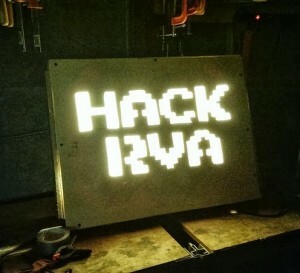 Can you tell us about some of your group’s recent tech projects? Our most recent tech project has been a overhaul of our server system. Other projects include the CNC currently in progress. That’s been an ongoing project for about a year. Probably the wackiest project we completed was actually, something not tech related at all, building a bed for Charleston Bed Races. We put together a Lego bed (not real Legos) complete with Lego man and all. We list any events or classes we are doing or plan on doing on our Website. Just click on classes and events on the main page or go to the calendar tab. Makelab Charleston is about opening the world to information and sharing that information with the people in our community. The best way to do that is through teaching. 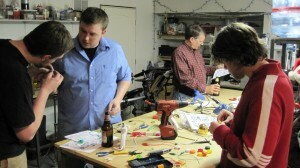 The Transistor is a UT-based hackerspace. 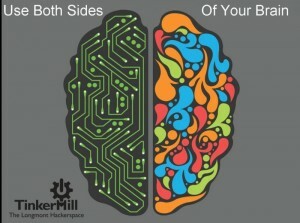 Its members have a love for all things open source and DIY. They enjoy working with embedded electronics and have created their own version of Arduino. ROBBERT: Tell us about your meeting space! DEVEN: We currently have two locations. One in Salt Lake City, UT and one in Orem, UT. Our Salt Lake City location is about 1,000 sq ft in a nice office building. We have one main area and two smaller rooms. Our Orem location is about 5,700 sq ft in a large warehouse that also has offices. We have sectioned off a wood shop, a metal shop, a clean CNC, an assembly area, a members desks area, a lounge, a server room, an electronics room, and a few other dedicated areas. ROBBERT: Are there any tools your group really wants or needs? DEVEN: We would love to have a large mill (CNC or manual) some day. Also, just all-around upgrades to current equipment. ROBBERT: Does your group work with embedded tech (Arduino, Raspberry Pi, embedded security, MCU-based designs, etc.)? 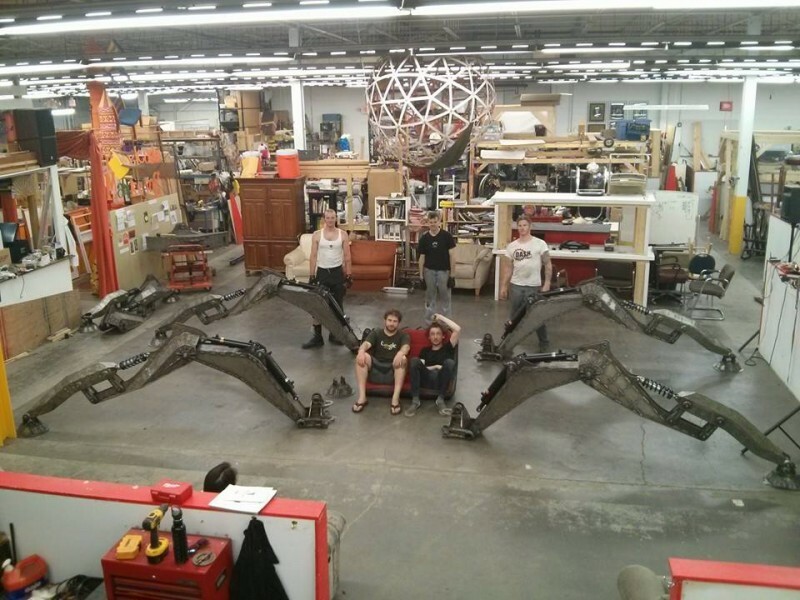 ROBBERT: Can you tell us about some of your group’s recent tech projects? DEVEN: Currently we are working on miniature MAME cabinets. 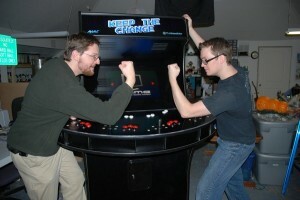 They are two player and will hold up to a 22″ LCD. We will release the CNC plans to the public as soon as we are done. We’re working on a lot of miscellaneous projects: software, hardware, security, and so forth. We’re also currently working on building some displays for The Living Planet Aquarium, in Sandy UT. ROBBERT: What’s the craziest project your group or group members have completed? DEVEN: Nothing too crazy. We built a drink cooler a year or so ago for the Red Bull Challenge. We designed and build a few full-size four-player MAME cabinets (planned for release to the public on our website, and featured in J. Baichtal’s Hack This: 24 Incredible Hackerspace Projects from the DIY Movement (Que Publishing, 2011). ROBBERT: Do you have any events or initiatives you’d like to tell us about? Where can we learn more about it? DEVEN: Lots of things are going on right now. Nothing specific, aside from working with the aquarium. 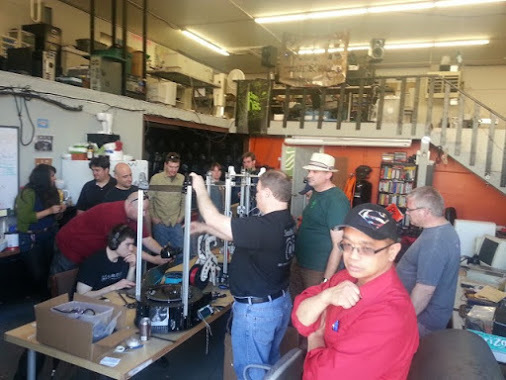 We have a lot of public events/user groups that meet at our space. Our calender is on our website if you are interested in specifics. ROBBERT: What would you like to say to fellow hackers out there? DEVEN: Have fun, be productive, be safe. Want to learn more about The Transistor? Check out their Facebook or MeetUp page! Check out their calender to see what The Transistor is up to. Ace Monster Toys is a Hackerspace in the East San Francisco Bay Area dedicated to education, hacking, and maker culture since September 2010. They are a membership based group with regular free open-to-the-public classes and events. They are open to anyone and non-members are welcome. Our space is 1600 sq ft, divided among three rooms, one upstairs and two downstairs. The upstairs is the “less dirty” area, with desks for working on projects, space for meetings and classes, electronics work area, and 3D printers. Downstairs is the “dirty shop,” in which one room is mostly woodworking tools with a large CNC mill and the other room contains the laser cutter and some storage. We have many shelves where members can put their projects in boxes as well as a few small storage lockers, both upstairs and downstairs. Everything and the kitchen sink it seems like! Downstairs is a giant 80W laser cutter, a giant CNC router table (both capable of taking full sheets of plywood or other woods), a mini desktop CNC router, several different woodworking tools (bandsaw, chop saw, radial arm saw, table saw, router table, jointer, wood lathe, various power hand tools), a metal bandsaw, a micro metal lathe, a drill press, and a Zcorp powder based 3D printer. 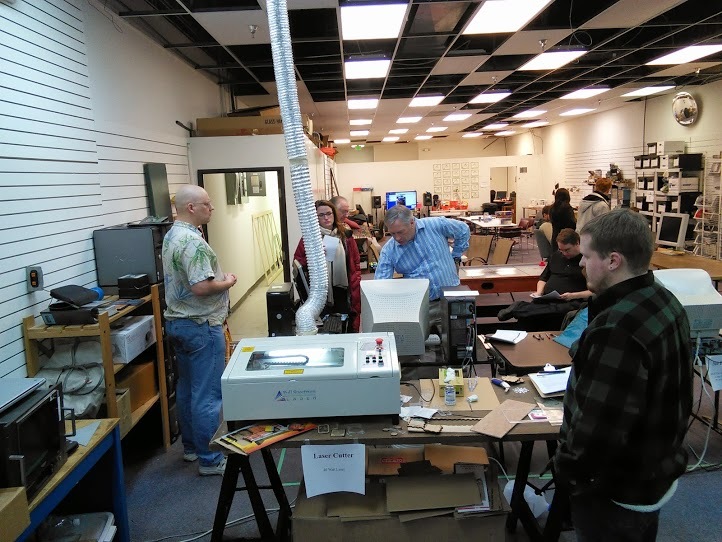 Upstairs we have several textile machines (serger, sewing machines), oscilloscopes, logic analyzers, soldering stations, three plastic FDM type 3D printers, a DIY book scanner, a large format inkjet printer, and a roomba or three. A more reliable 3D printer would be pretty nice. Also a CNC mill capable of working metal would be really cool and would allow us to fabricate metal parts. A decent tabletop or larger metal lathe would expand our fabrication abilities. For textiles: Supplies for conductive sewing projects/classes… lilipad everything, conductive fabric, thread, battery packs, batteries. Not just for the classes themselves but also for prototyping projects. Yes! We have lots of Arduino and Raspberry Pi fans, but of course we have people who work with other microcontrollers as well (ARM based mostly I’d say). Our current biggest initiative is moving to a bigger space. We would like to double our square footage and offer more facilities & capabilities including accessibility. For events which are going on, many of them weekly, check out the calendar on our website or on meetup.acemonstertoys.org. Check out Ace Monster Toys’ pages on Instructables and Facebook! You can read all about their projects on their wiki page.